This article first appeared on March 20, 2019 in The Spokesman-Review. By staff writer Amy Edelen. Spokane again has made a national ranking – this time as a top place to live for its affordability, job opportunities and recreational options. The Lilac City is ranked No. 41 out of 100 cities in a list of Top 100 Best Places to Live in 2019 by Livability. com, which evaluated more than 1,000 cities based on economics, housing, amenities, education and health care. Spokane earned high marks for its parks, lakes, museums, and music and food scenes as well as accessibility to five universities and two medical schools, which boosted the city’s education score. Affordability and job opportunities were top answers among 1,000 millennials surveyed nationally to determine what matters most to them when deciding to relocate, according to Livability. com. The website indicated all cities on the Top 100 Places to Live list have median home values below $250,000. The median home price in Spokane is $239,900, according to February data from the Spokane Association of Realtors. Spokane has the most affordable housing of all large counties in state, according to the Washington Center for Real Estate Research at the University of Washington. “Spokane is in very good position as far as affordability and sales price,” said Rob Higgins, executive officer of the Spokane Association of Realtors. Higgins said that while housing inventory is low in Spokane, it’s expected to pick up in the next year, following a national trend of increased inventory in larger cities, such as Seattle. Pullman and Richland ranked No. 86 and No. 30, respectively, on Livability.com’s list, while Boise topped the list as the best place to live. Moscow made the list at No. 60. 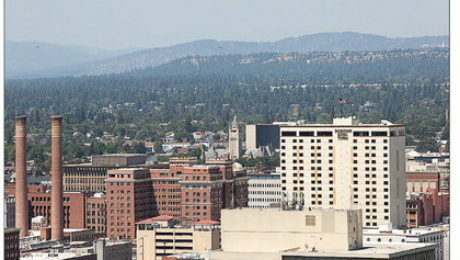 Spokane has been featured on several national lists during the past year, including “Cities on the Rise” by National Geographic Traveler magazine and “Best Foodie Cities in America,” by WalletHub.